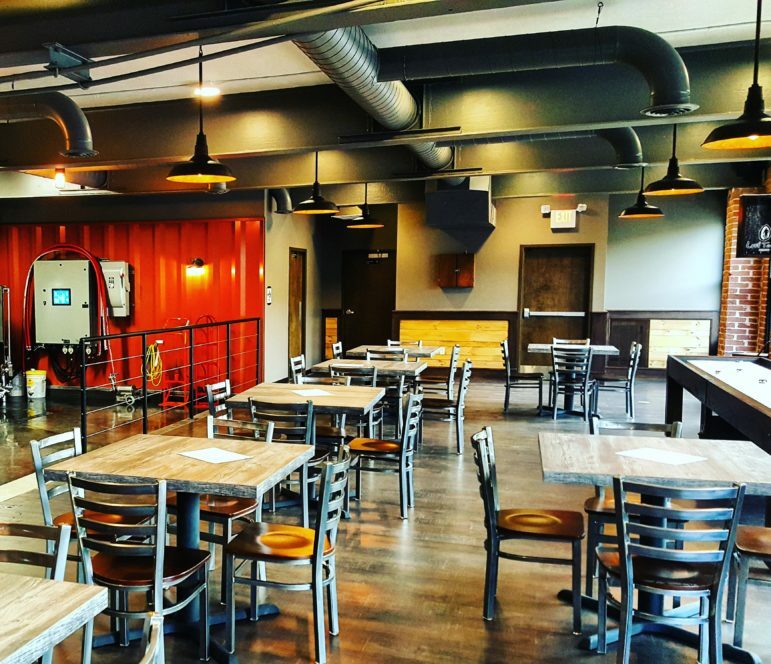 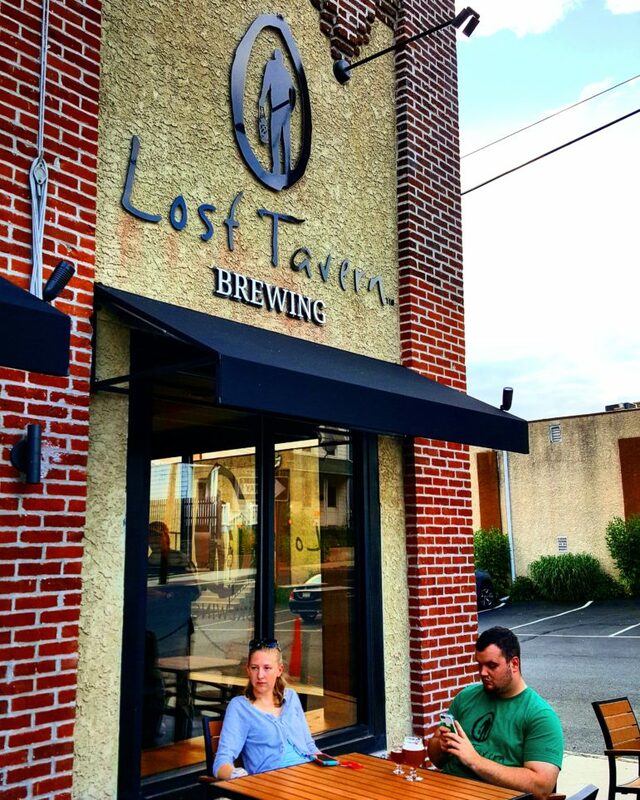 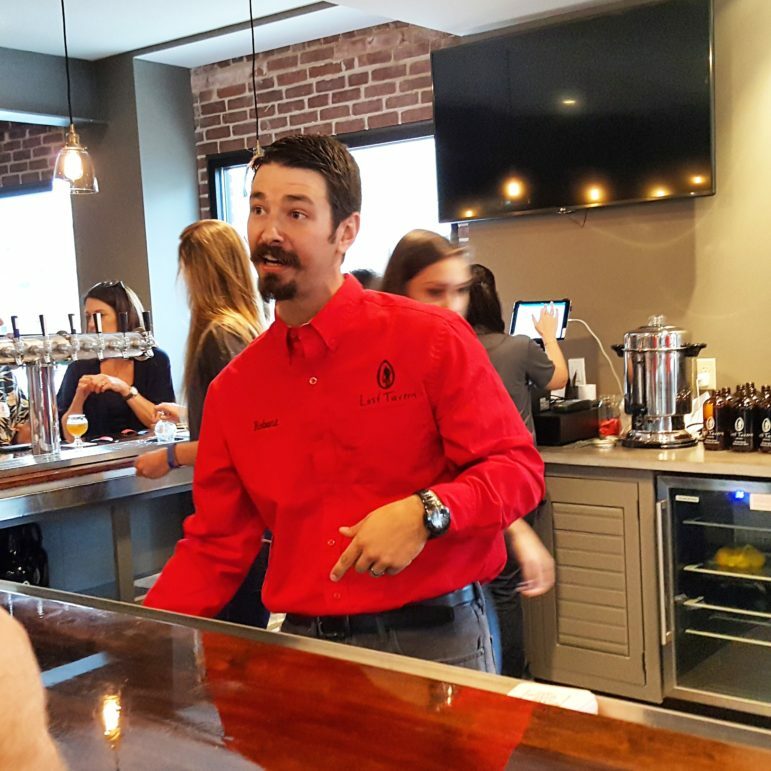 After about a year of planning and construction, Saucon Valley’s first microbrewery and beer tasting room will open to the public on Friday, July 1, 2016 at 3 p.m.
Lost Tavern Brewing at 782 Main St. is located on the first floor of the historic RMI building, in a renovated space that retains its industrial vibe with exposed brick walls, wooden-beamed ceilings, polished concrete floors, vintage lighting and gleaming stainless steel. 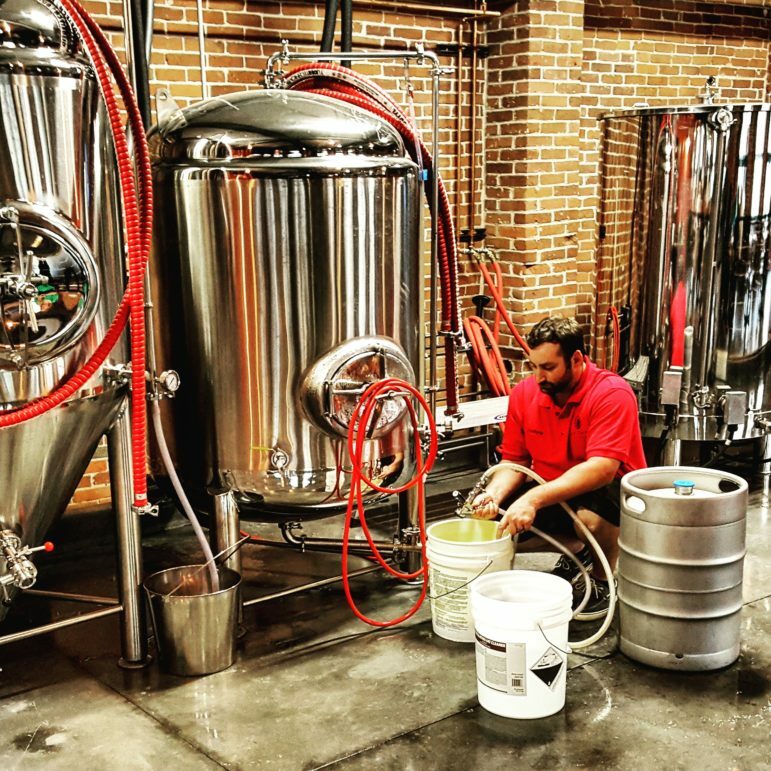 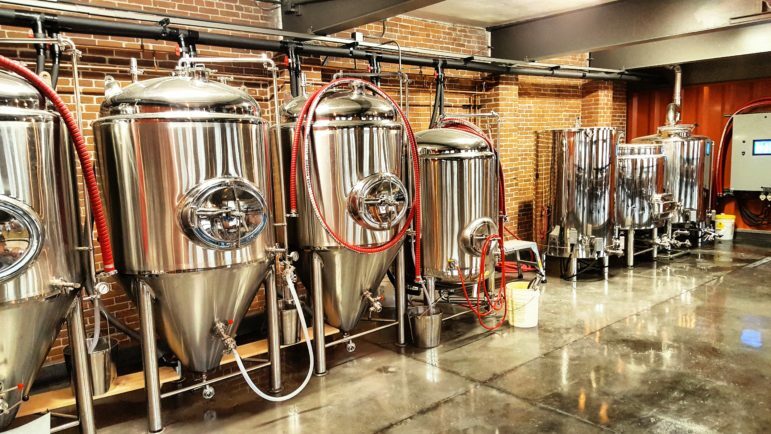 It will offer guests a selection of craft beers (including IPAs, stouts and wheat beers) microbrewed in state of the art equipment and served on draft, as well as in growlers for takeout. 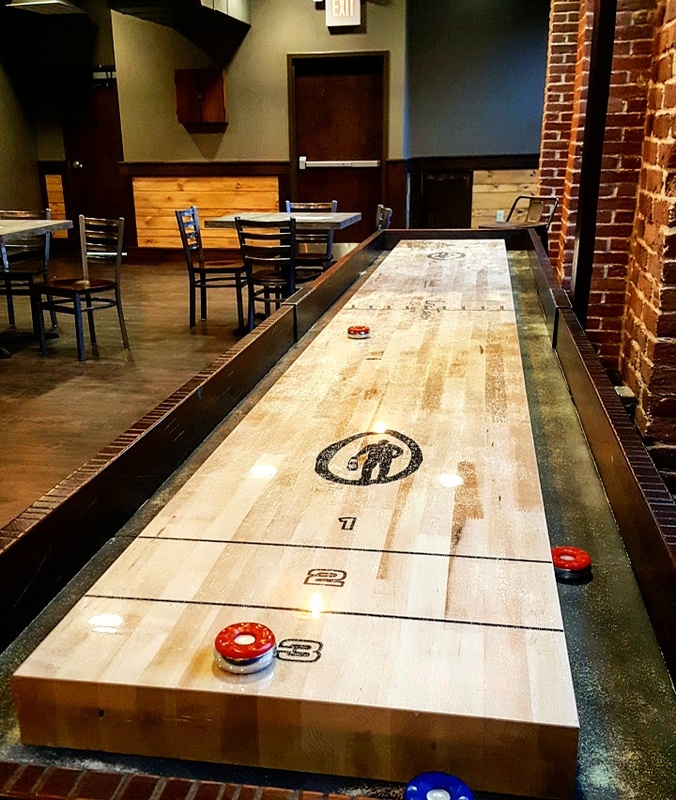 Along with a large seating area, a bar area that opens to an outside patio and games such as shuffleboard and darts, LTB will sell snacks and soda, and offer a limited, outsourced food menu, with delivery available from nearby Bella’s Ristorante. 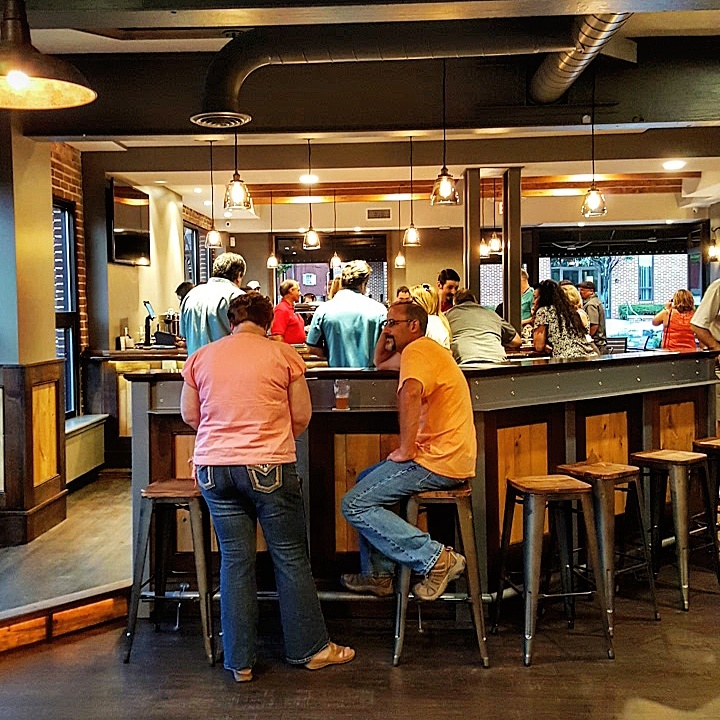 Live entertainment is planned on some evenings. 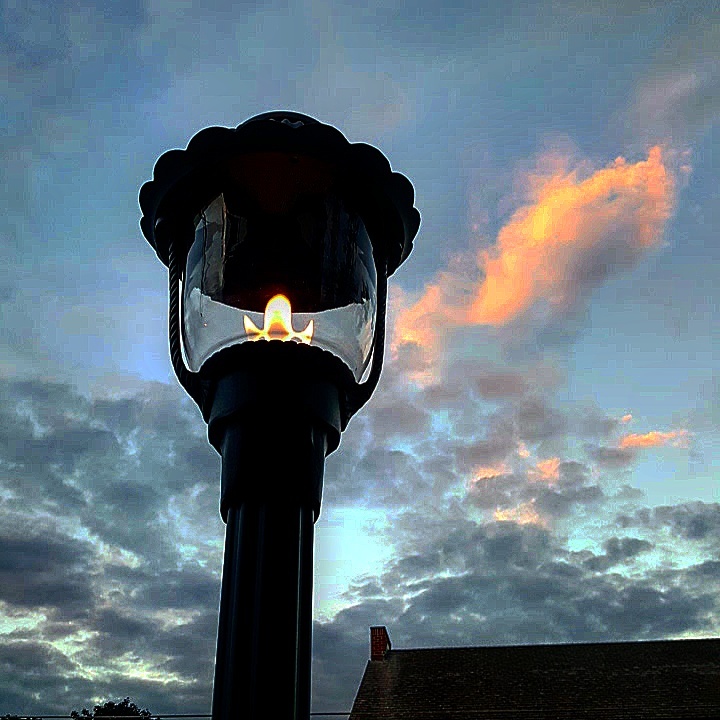 The outside seating area in front of the building features tables and chairs, bar seating, a bike rack, plantings, evocative gas-lit lanterns and an unobstructed view of Main Street in the downtown. 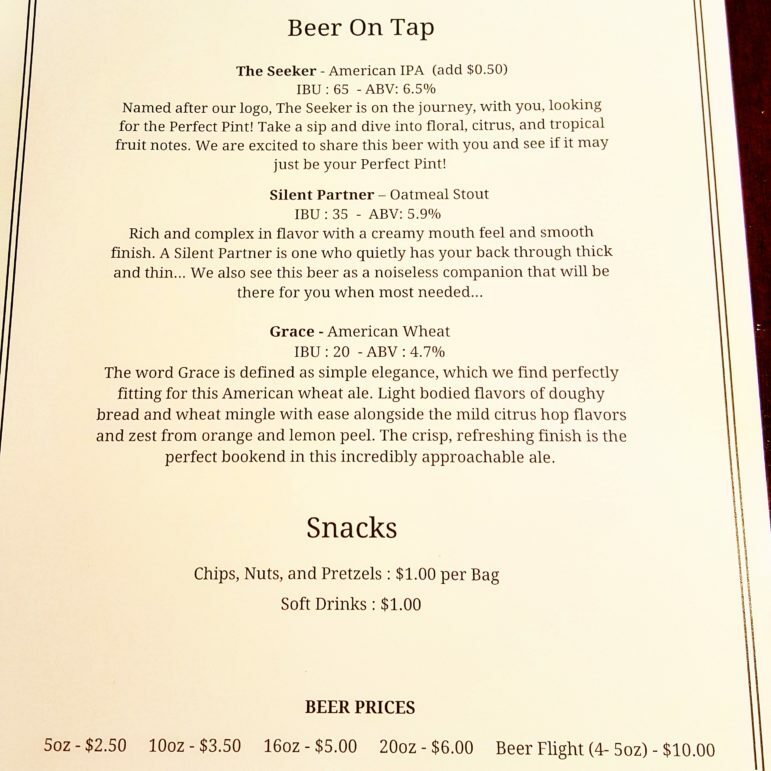 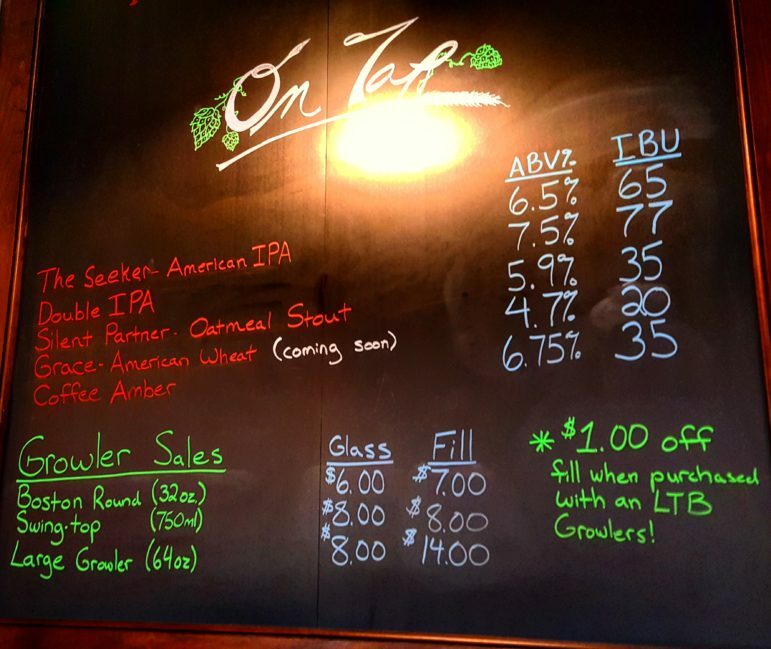 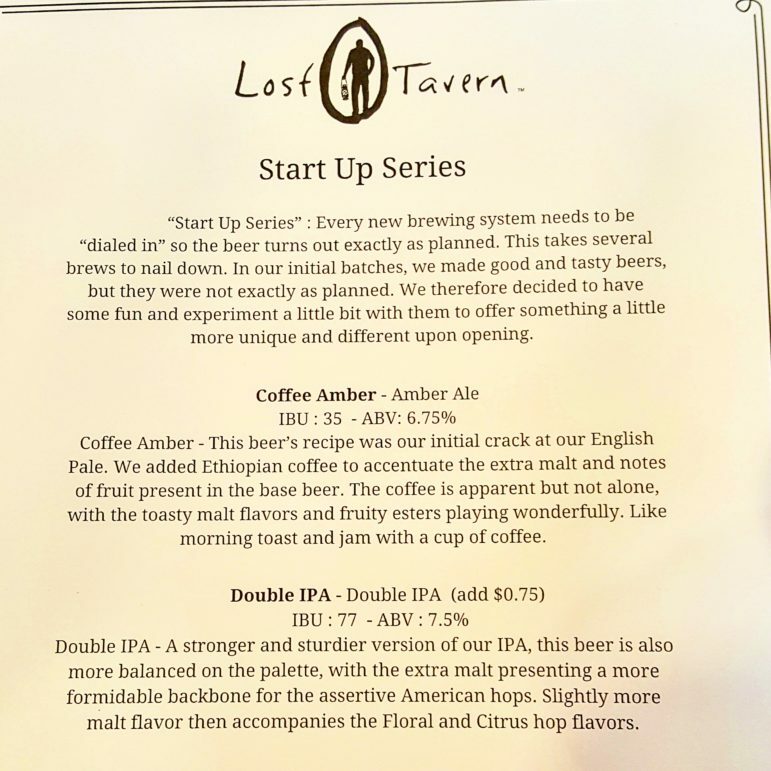 Lost Tavern Brewing will be open Thursday from 3 to 10 p.m., Friday from 3 to 10:30 p.m., Saturday from 11 a.m. to 10:30 p.m. and Sunday from 11 a.m. to 5 p.m., according to the hours posted on the business’s Facebook page. 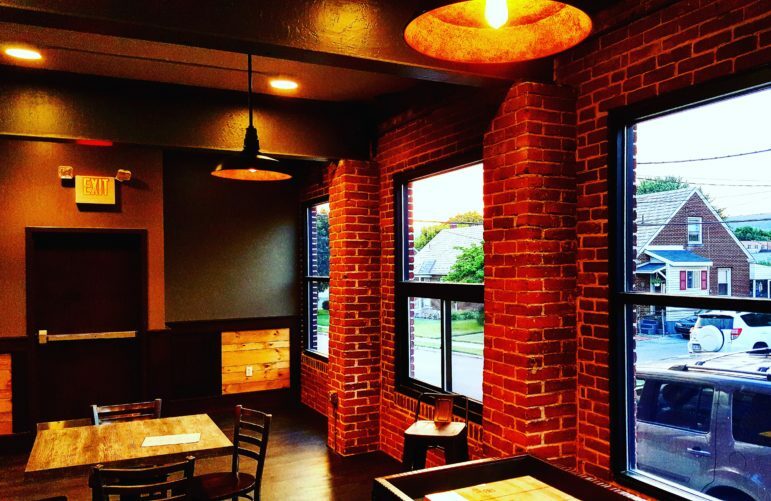 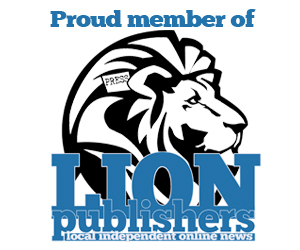 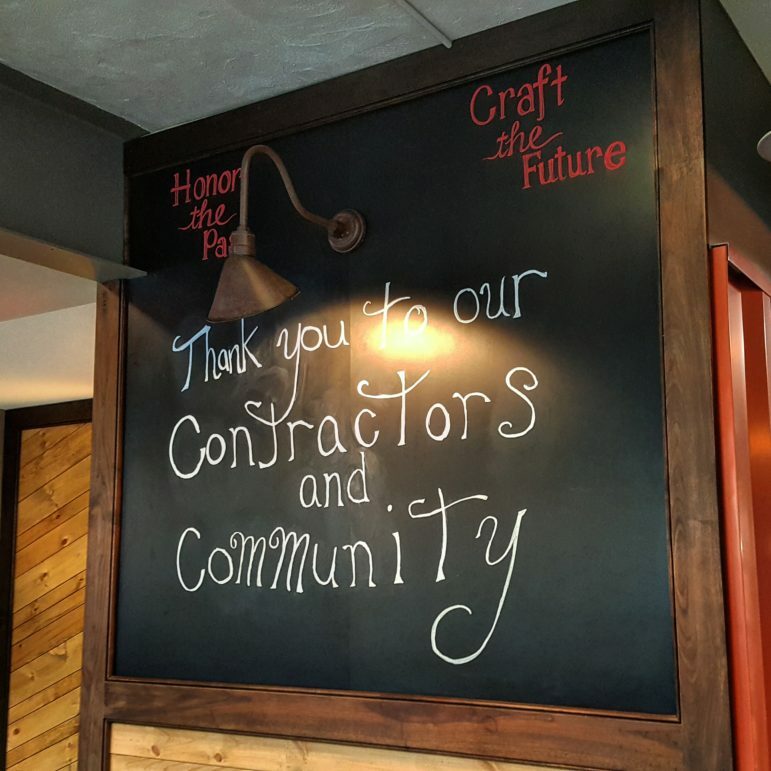 The name for the business comes from Hellertown’s “lost tavern,” which was established in the mid-1700s somewhere in the vicinity of the Heller-Wagner Grist Mill on W. Walnut Street. 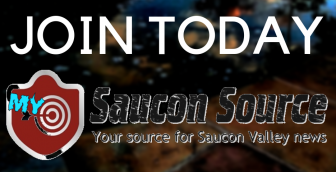 To this day, its exact location remains a mystery. 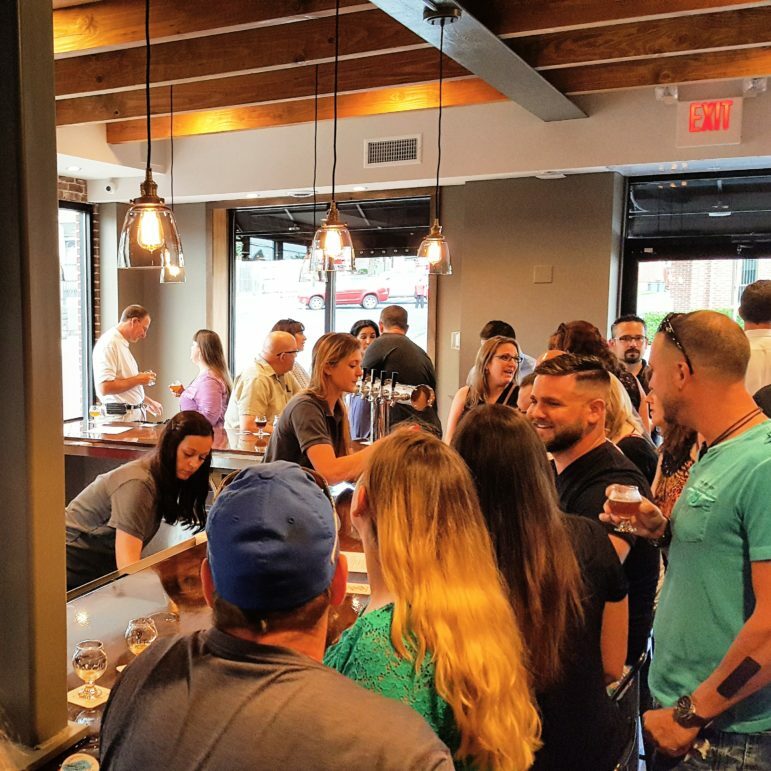 The photos below were taken at a soft opening for members of the community who assisted with the project, held Friday, June 24 at Lost Tavern Brewing. 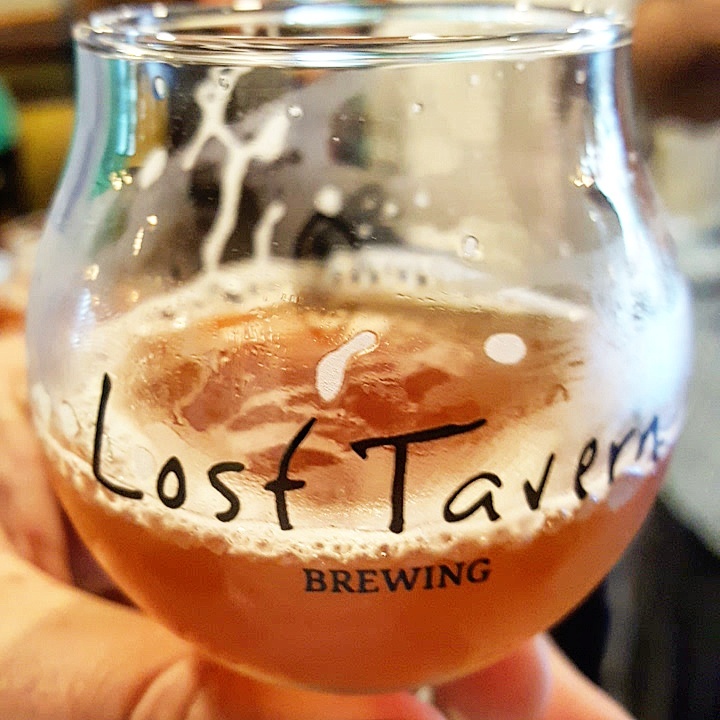 Partner-brewers Rob Grim and Anthony Gangi, and Ken and Kenny Rampolla hosted the event, at which several of Lost Tavern Brewing’s signature new brews were unveiled and sampled, to the delight of dozens of attendees. 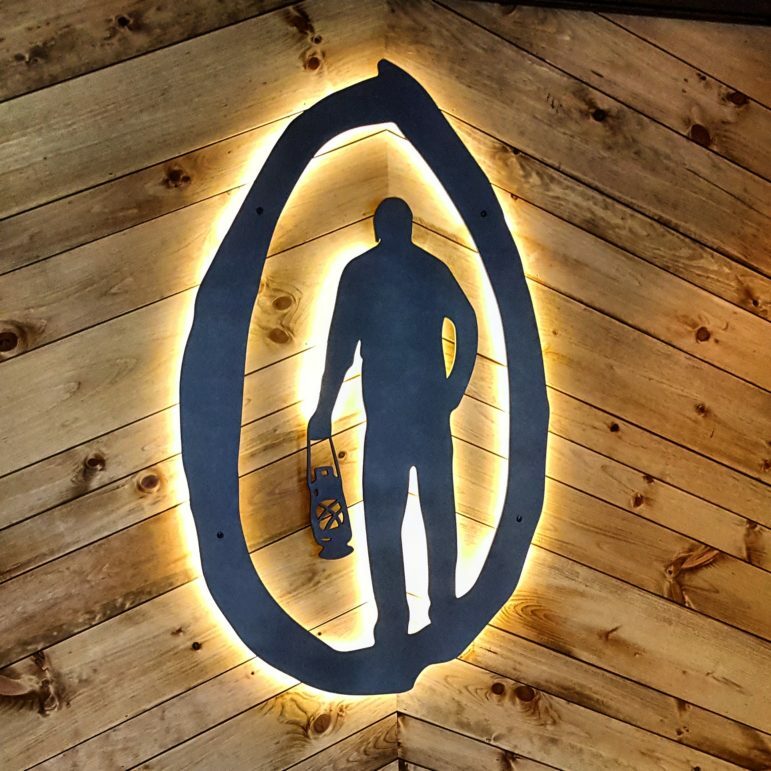 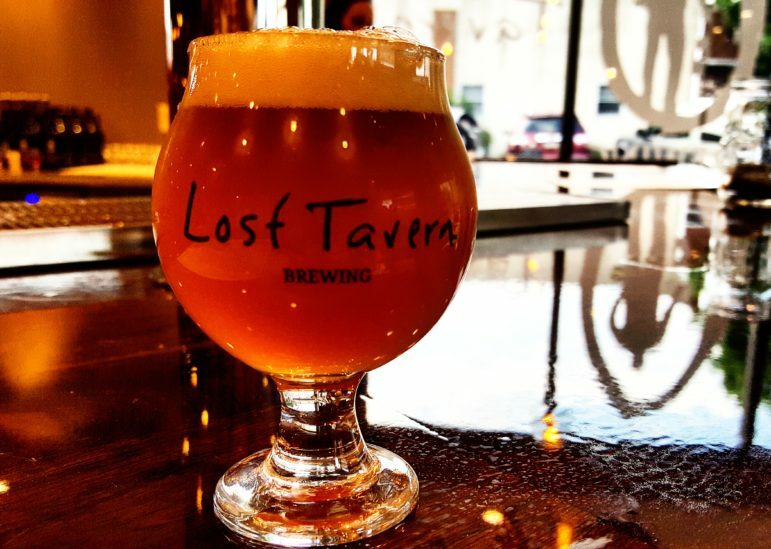 A website for Lost Tavern Brewing is under construction. 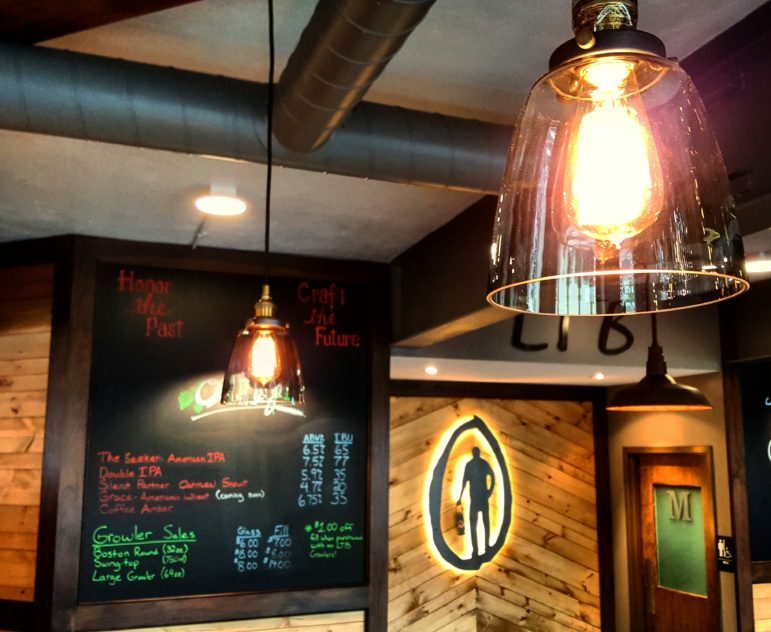 You can also follow LTB on Instagram.